A gripping mystery-adventure about a desperate search for identity by critically acclaimed author, Timothee de Fombelle. In a world between wars, Vango is on the cusp of taking priestly vows when he is suddenly made a fugitive. Fleeing from the police who blame him for murder, as well as more sinister forces with darker intentions, Vango attempts to trace the secrets of his shrouded past and prove his innocence before all is lost. This is a breathless and highly cinematic story that follows Vango from Scotland to the Soviet Union and from the rooftops of Paris to Nazi Germany. 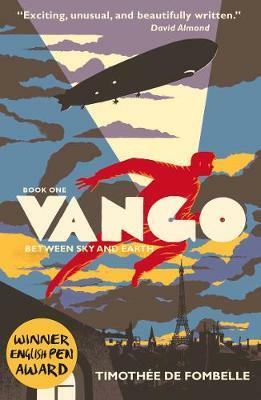 Centred on a mysterious, unforgettable, and romantic protagonist, Vango tells a thrilling story sure to captivate lovers of daring escapades and subversive literary heroes. I cannot tell enough people to read this book. This is without a doubt in my top five books of all time.